We’re equal opportunity speed freaks. Whether it burns hydrocarbons or kilowatt-hours, we don’t care as long as it’s fast. The Empulse® TT is fast where it matters most. Built on the same platform that claimed a spot on the podium at both the Isle of Man and the Pikes Peak International Hill Climb™, the Empulse® TT accelerates up to 100+ MPH and has a 10.4 kWh battery module that can fully charge in 3.9 hours. Equipped with sport-tuned inverted front forks and an adjustable suspension to provide track-level performance, the Empulse® TT is also the only electric bike equipped with a gearbox – a six-speed transmission – although shifting is entirely optional as it also operates in a twist-and-go mode for maximum convenience. The Empulse® TT … the only electric motorcycle available from a major motorcycle manufacturer, putting it in a class of one. Everyone else is still catching up. This is American muscle at its most modern. Accelerating up to 100MPH+ and the battery fully charges in 3.5hours. Where it matters most, the Empulse® TT is fast. It is 10,400 watt hours of proof that Victory® doesn’t just prove performance, we advance technology. 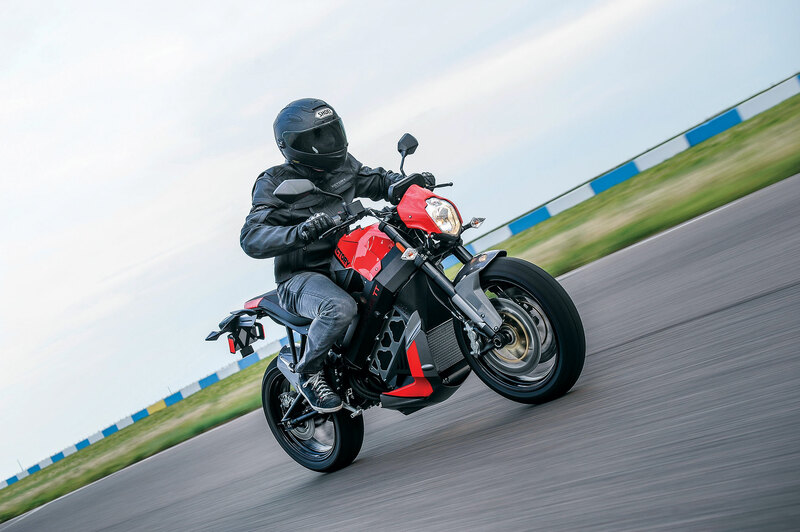 Empulse TT shares some DNA with Brammo’s original Empulse R motorcycle, but after acquiring Brammo’s motorcycle assets last year, Victory Motorcycles’ engineering team has made significant steps forward in electric technology to create this new model (developed at the same time as the Isle of Man TT Zero bike). Improvements in the battery capacity, controller function and handling (lighter wheels) were all developed by Victory engineers combining their efforts with the previous Brammo team. Empulse TT achieves 100mph+ and has a high capacity 10.4kWh battery. The battery (manufactured by Brammo) fully charges up in just 3.5 hours using mains electricity flowing to a built-in charger (via a plug into the top of the ‘fuel tank’) with an 80 per cent charge can be achieved in just two hours. Typical riding gives a range of 65 miles with 100 miles achievable through throttle management and regenerative charging. Preliminary testing shows a Motorcycle Industry Council (MIC) city range of 94 miles. A ‘combined 70mph highway and city range’ is 57 miles. Riders can get the best return from the 10.4kWh of electricity stored in the battery by using the six-speed gearbox. The gearbox serves as a familiar and comfortable way for existing motorcycle riders to engage the electric drivetrain. Shifting and downshifting also helps to create regenerative power (under deceleration) and this also mimics the compression braking that riders feel on a petrol-powered machine. Choosing the right gear for the conditions allows Empulse TT to use the battery power in the most efficient way. The clutch is only needed to shift between gears and it is not needed for pulling away or for coming to a stop. Featuring a bespoke transmission, neutral is located between 2nd and 3rd gear. This is because Empulse TT can easily be left in 3rd gear for most normal riding conditions. Riders can simply turn the bike on, select 3rd gear (without the clutch) and twist the throttle to pull away. Then they can simply come to a stop without pulling in the clutch and knock down one gear to put the bike into neutral. The addition of the gearbox is a positive feature offering significant flexibility and a sporting feel over the competition. 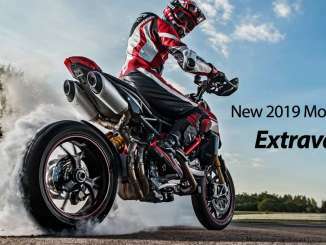 Empulse TT normally operates under an ECO mode, but Victory has also added a SPORT mode that releases 20 per cent more power to the motor, so there is more acceleration for a given amount of throttle twist. Riders select SPORT mode by pressing and holding the start button for 1 second. SPORT mode also increases the amount of regenerative braking (regen), thereby further increasing the feel of ‘compression braking’ when the rider rolls off the throttle. This way some of the 20 per cent of extra electrical energy fed to the motor is partially recovered through the higher ‘regen’ setting. The battery level is displayed as a horizontal bar with a percentage next to it in an LCD dash display next to a tachometer. Other information displayed here includes the speed, gear, time, power in kWh and an estimated range remaining. While Empulse TT is electric, it doesn’t mean it isn’t sporty. It comes with fully adjustable suspension both front and rear (the front forks are inverted). There are dual brake discs on the front wheel (Brembo). Add in new lightweight cast aluminium wheels, the best lean angle in the electric class and you’re looking at an electric motorcycle that can be ridden both on the road and on track. Official accessories available at launch include Victory performance forks and bike sliders (hard moulded crash bungs that fit on either side). Street riders can also fit a tall or short windscreen and side panniers. When you let off the throttle, the motor still moves, the wheels still turn, and the energy in the drivetrain is transferred back into the battery system.The dual disc Brembo® brakes go from 30-0 MPH in 45 feet for total control. This is the fastest charging battery on the market. Full charge in 3.9 hours, and it comes with a 5-year 100,000 mile warranty. The performance wheels don’t sacrifice style. The look sharp and ride tight. Customize the inverted front forks and the rear suspension to your riding style. Building on the innovative design and engineering that produced the fastest U.S. electric motorcycle at the 2015 Isle of Man TT Zero race, Victory Motorcycles has introduced the 2016 Empluse TT, the first all-electric addition to the Victory lineup. The Victory Empulse TT is a fully electric road-legal streetbike that is as capable of carving tight lines on twisting roads as it is powering the daily commute. 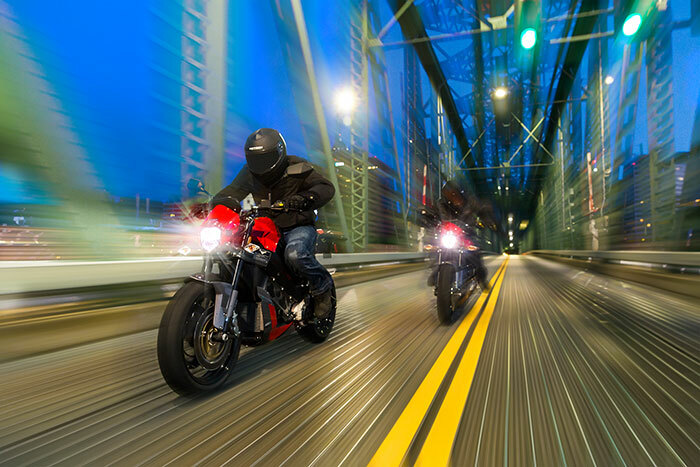 Building on Victory Motorcycles’ focus on performance, the Empulse TT features a sportsbike-style aluminum beam-frame, adjustable suspension and strong brakes. With advanced technology this unique new motorcycle delivers outstanding overall performance, zero-emission output and has a torquey electric motor. The key features that allow Empulse TT to deliver a sporty riding experience include: fully adjustable suspension featuring a single rear shock and inverted front forks; dual-disk front brakes; lightweight cast aluminum wheels; the greatest lean angle in the electric class; and a sportsbike-style riding position. Steve Menneto, VP Motorcycles, said Victory Motorcycles is committed to expanding brand awareness and sales globally, and the Empulse TT will allow the brand to reach more markets. 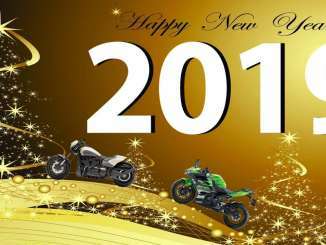 “This is a company that does not fear technology and progressive products and we want to be strong in the electric motorcycle segment,” he said. The Empulse TT shares some DNA with the original Brammo Empulse R motorcycle. Victory has been working with Brammo since 2011, but in January 2015 Victory’s parent company, Polaris Industries, acquired Brammo’s motorcycle assets. Since then, Victory engineers worked with the Brammo product team to achieve improvements in battery capacity, display function and handling. The Victory Empulse TT is capable of top speeds over 100 mph and it has a high-capacity 10.4kWh battery. The bike has a built-in battery charger and an easily accessible SAE J1772 plug atop the bodywork to the front of the seat. The bike’s Brammo Power Lithium Ion battery fully charges up in just 3.9 hours using a Stage 2 charger (available as an accessory utilising a 240V outlet). 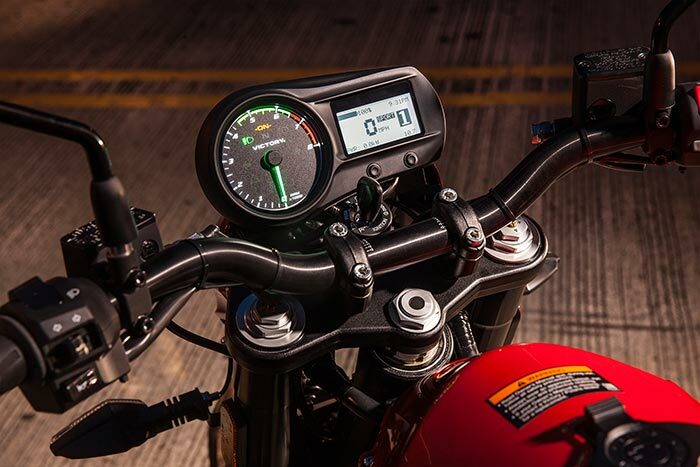 In typical riding, the Empulse TT battery provides riders with a range of about 65 miles and a range of 100 miles is possible with throttle management and use of the bike’s regenerative charging. 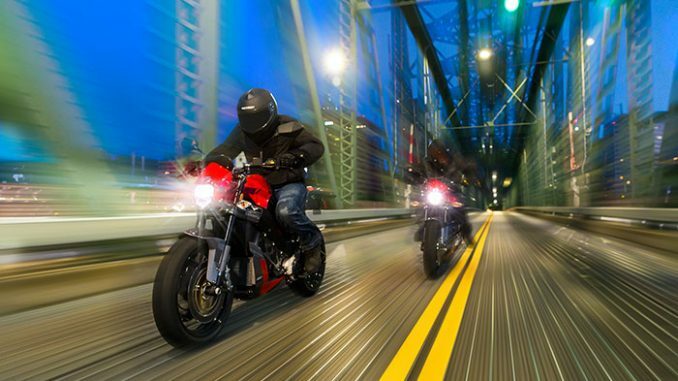 In preliminary testing, the bike demonstrated a Motorcycle Industry Council (MIC) city range of 94 miles. The bike delivered an MIC “combined 70 mph highway and city range” of 57 miles. Riders can make the most efficient use of the battery’s 10.4kWh of electricity by using the six-speed gearbox. Shifting and downshifting helps to create regenerative power (when the bike is under deceleration) and also produces a feeling similar to the compression braking that riders experience on petrol-powered motorcycles. The clutch only needs to be used when shifting between gears, not for taking off or coming to a stop. To take off from a stop, the rider simply needs to twist the throttle to unleash the liquid-cooled electric motor’s impressive torque. In the Empulse TT’s proprietary transmission, neutral is found between 2nd and 3rd gears and a rider can leave the bike in 3rd gear for most riding speeds and conditions. To begin riding, a rider can simply turn the bike’s power on, select 3rd gear (without the clutch), twist the throttle and go. 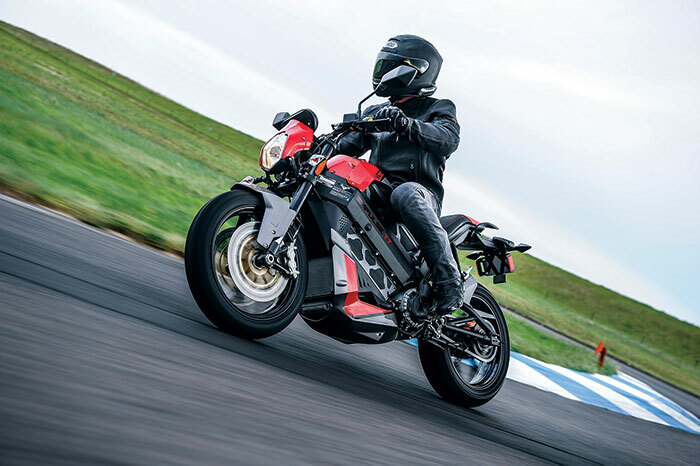 Not all competitive electric motorcycles have gearboxes, so the Empulse TT gearbox gives the bike a significantly sportier feel and it enhances a rider’s engagement with the bike. 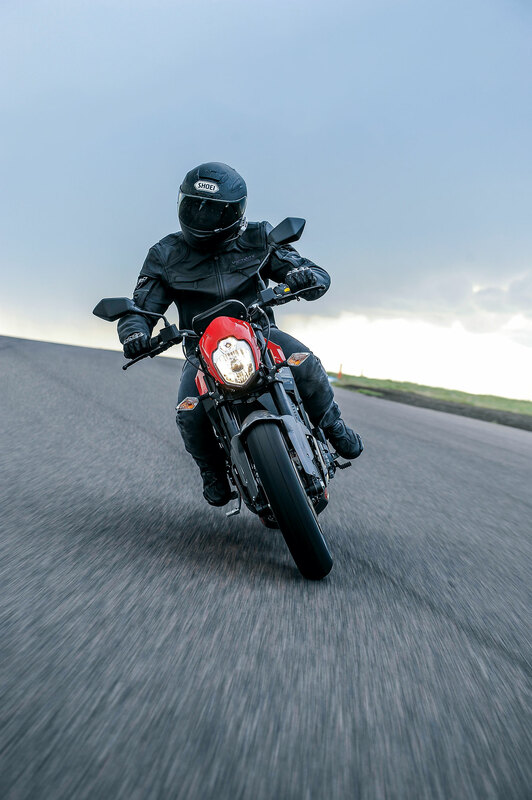 SPORT mode also increases the amount of regenerative braking – or “regen” – that further increases the feeling similar to compression braking when the rider rolls off the throttle. Regen uses the inertia of the motorcycle to return energy from the motor back into the battery pack. To select SPORT mode, a rider presses and holds the start button for 1 second. The bike’s LCD data display features a speedometer, tachometer, gear indicator, and clock. It also displays the battery level as a horizontal bar accompanied by the percentage of battery energy remaining and provides an estimate of remaining riding range. Genuine Victory Accessories immediately available for the Empulse TT include Victory performance forks, frame sliders, tall and short windscreens and panniers. The new Victory Empulse TT electric motorcycle is scheduled to be available for purchase in the United States in late 2015. Victory is in the process of determining global demand for the bike before announcing its sales plan for the EMEA region.